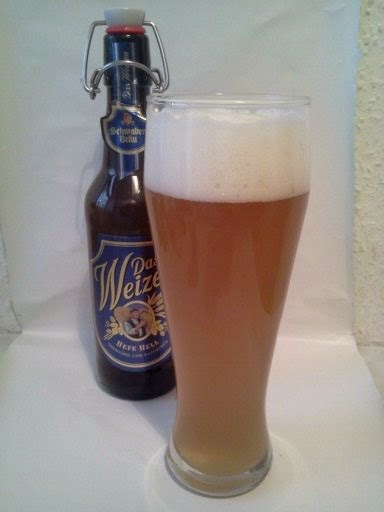 Das Weizen poured a hazy orange brown with the always lovely massive white hefeweizen head. I could smell banana, wheat, and yeast. 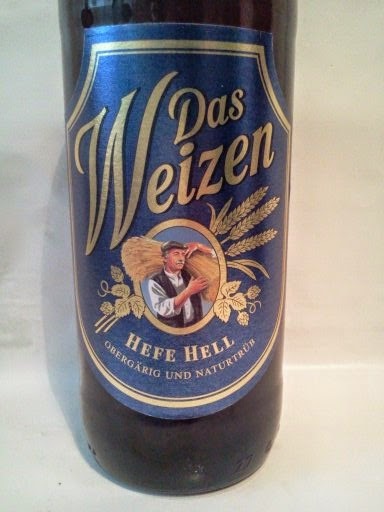 The flavor revealed a smooth beer full of banana, wheat, and yeast flavors that had slight carbonation and was light in my mouth. 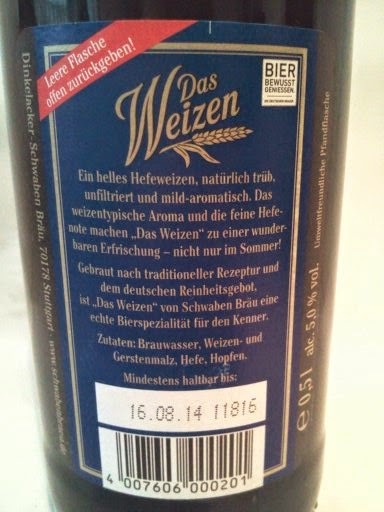 This beer was decent, but in the crowded field of German Hefeweizens it just doesn't do anything to separate itself from all the other weizens competing for attention.